Jacob Collier pushes musical boundaries to extreme lengths with diverse ideas, forming a record reaching an unprecedented level of musicality and ambition. Djesse Vol. 1 is a mark of the beginning of a project that will make its mark in music history. 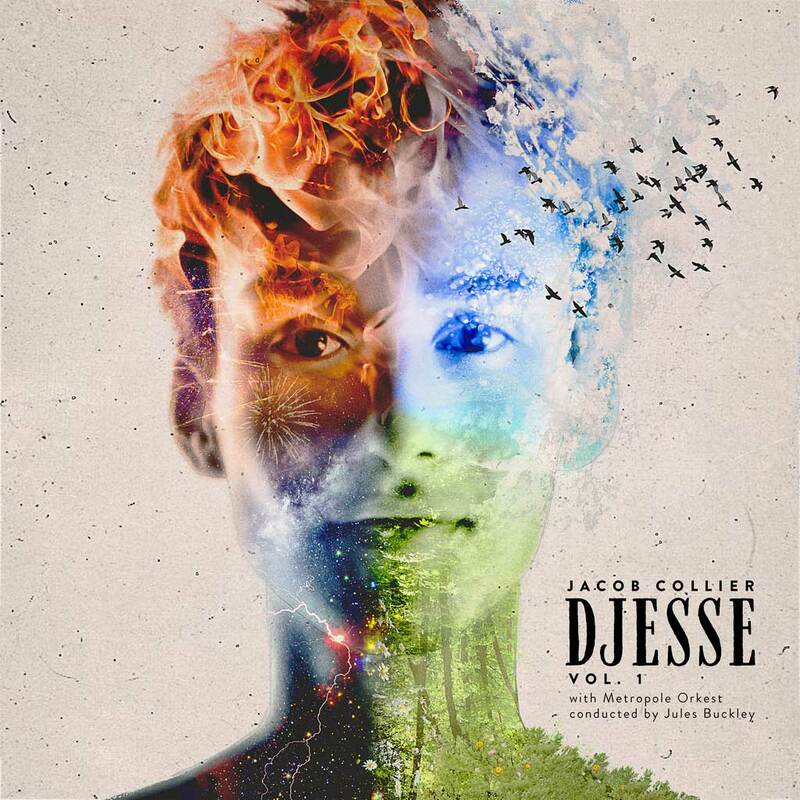 Jacob Collier has been a prominent composer through posting extreme reharmonization videos through YouTube, and has previously released albums such as In My Room. He has found fame through his highly advanced multi-instrumental abilities and his eclectic compositions, combing jazz harmony with popular music, and arranging popular music to reach incredible levels of technicality and conceptuality. He has now released a new record to be released on December 7, 2018, titled Djesse Vol 1. The upcoming release will be the first installment of four, which will complete the entire project. The album opens with a track titled “Home Is”. It features a full choir, creating atmospheric waves of sound which pulsate throughout the song. The harmony increasingly becomes more complex as it goes, layering more and more lines on top of each other, building tension and intensity through dynamics and chord extensions. The low end of the choir is both massive, but gentle, creating a unique sense of beauty through all of the tension and harmonic clashes. It is an interesting way to introduce the album, but beautiful nonetheless. There is then a connected transition to the second piece: “Overture”. This is much more symphonic and has very clear influences from Stravinsky‘s works such as Petrouchka or The Firebird, shown through the unexpected and syncopated hits from the orchestra, and the trumpets blasting articulate odd subdivisions over the dense texture of sound underneath. This particular element showcases how far Collier branched out in his influences. It is like a contemporary approach to an already contemporary art form of music. It is only the second track, and I am already blown away at how it is unlike anything I have heard before from a modern fusion artist. Collier is truly an innovator. “With the Love in My Heart” was the main single to tease this release, and boy, is it dense. Once again, it connects to the previous piece, opening with a bright chorus of voices and Collier riffing underneath it. The drums come in with a J Dilla inspired 7/4 groove but has that ‘tripping’ quality that has the listener constantly in a feeling of falling backward. From this, there is a very sudden transition into a very straight ahead groove with moving bass lines and energetic drumming, largely contrasting from the opening. The sped-up drum fills give the song a unique sense of drive and abrasiveness. Although I would say that the transition between these two styles was a bit choppy, it still felt good. However, some transitions did not work very well for me, as there was once an insertion of trap beats in the recapitulation of the main riff in the beginning, which just didn’t fit so well in the song. Some were too jarring, as the transition out from the return of the main groove featured a shout section, which was a bit much and almost unwelcome. Jacob Collier is immensely ambitious about hitting as many musical styles as he can, but too much ambition can sometimes lead to challenges such as these. Although it is appreciated that he wants to innovate and create a grand mammoth of a song, it is sometimes overwhelming. It is still a very enjoyable song, and as always the musicianship is unmatched. “Every Little Thing She Does Is Magic” displays my complex relationship to Collier‘s music. Yes, he is a wonderful composer, arranger, musician, and creator. However, his style at times is just a bit cheesy for my personal taste, and this track is one of them. This is purely a matter of personal opinion, of course, as I have never connected well with musicals or theatrical music. This song is heavily influenced by that style. That being said, his take on the style is still very fresh and fun to listen to. Music from musical theater tends to feature very polished production, and Collier‘s relatively raw production gave the song a nice punchy groove that is often lost in the genre. One of the most beautiful tracks on the album is “Once You” featuring his mother, Suzie Collier. Dreamy string harmonies fill the background as a harp fills the atmosphere, and Collier sings buttery melodies drifting through the phrases. Although Suzie Collier‘s take on the violin solo could have initially been more legato and connected throughout the phrases, it added a nice flavor to the already largely beautiful track. Jacob Collier has created an album that will be remembered and studied for many years. This album is an innovation, and yes, some new developments in music have their flaws initially. However, the caliber of diversity, complexity, and musicality has largely been unprecedented. I know that Djesse will make large waves within the music community, and it is very deserving of it. Do not miss out on the new album! I eagerly await the next installment of Djesse. Next PostSkulk, The Hulking Returns for a Verbal Assault in "Afterbirth of A Nation"